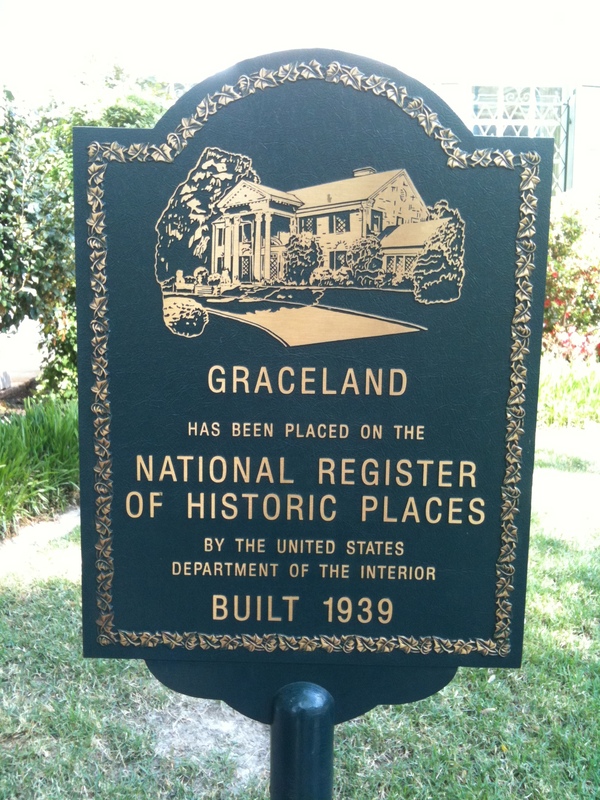 Today I went to the Happiest Place on Earth, Graceland! It was a wonderful day. The weather was perfect (sunny, warm and no humidity) and there weren’t many people there. I decided to take the VIP tour since I haven’t been since Elvis’ birthday in January and won’t be back until after Elvis week in August. With the VIP tour you can visit the mansion as many times as you like, you get your own shuttle to and from the mansion, you get access to an extra exhibit, and you get a tour of the grounds behind the mansion. 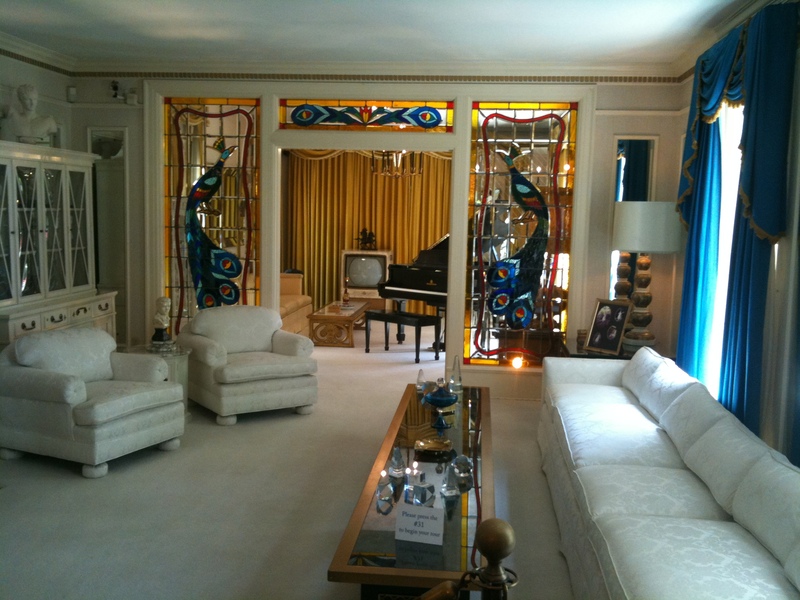 My favorite part of Graceland is the foyer/staircase/ living room area. You really can feel Elvis there. 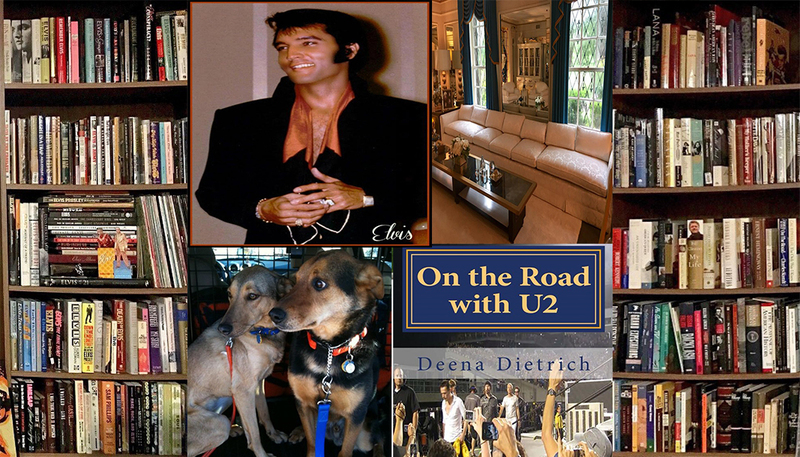 Elvis greeted his guests in the foyer and entertained them in the living room. 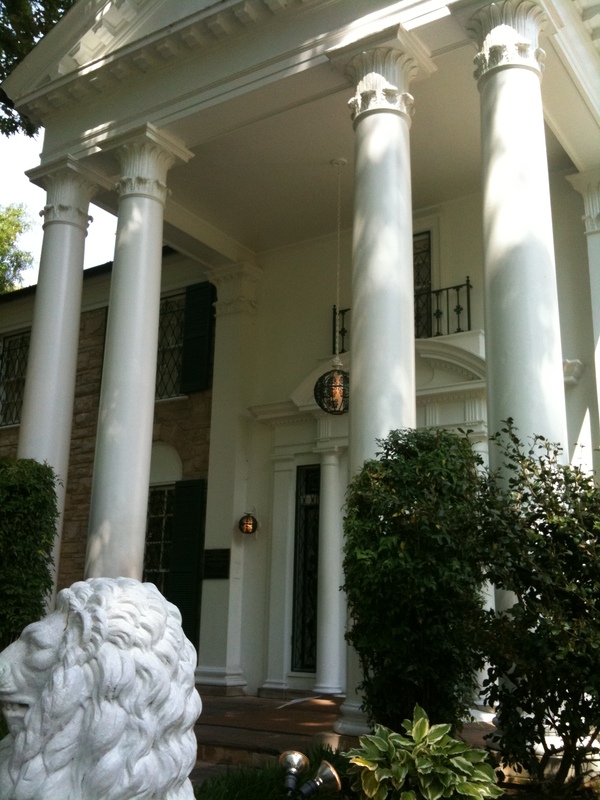 And the staircase leads to the elusive upstairs where Elvis’ bedroom is, where no one is allowed to go. 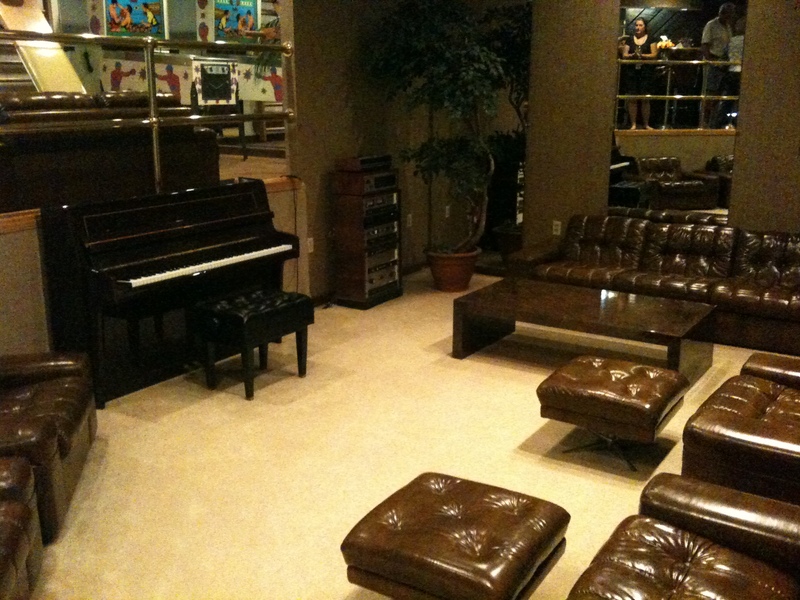 The piana room off the living room is where Elvis’ funeral was and where he was laid out. That whole area is very special to me and where I like to spend as much time as possible. 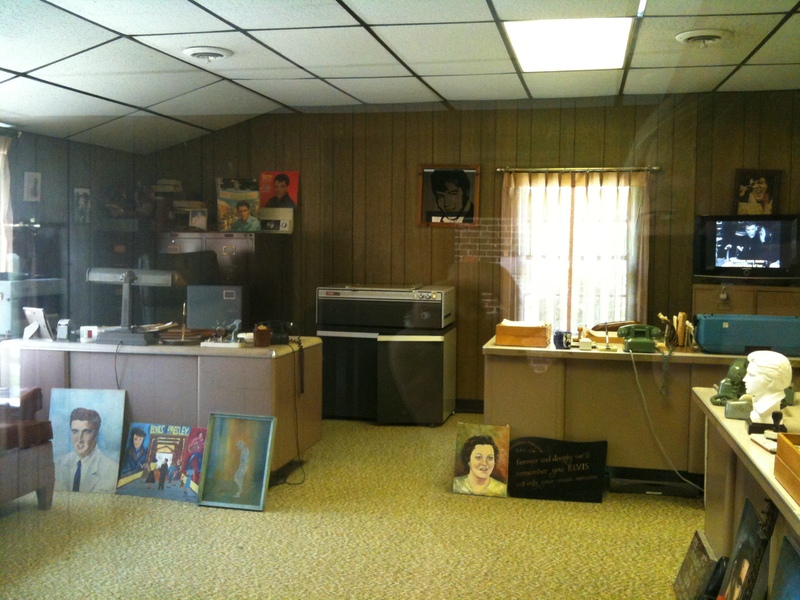 My second favorite spot on the tour is Vernon’s office because it shows my favorite video of Elvis upon his return from the Army. It has my favorite Elvis quote, “Someone asked me what I missed about Memphis, and I said everything.” This is my favorite look for Elvis. 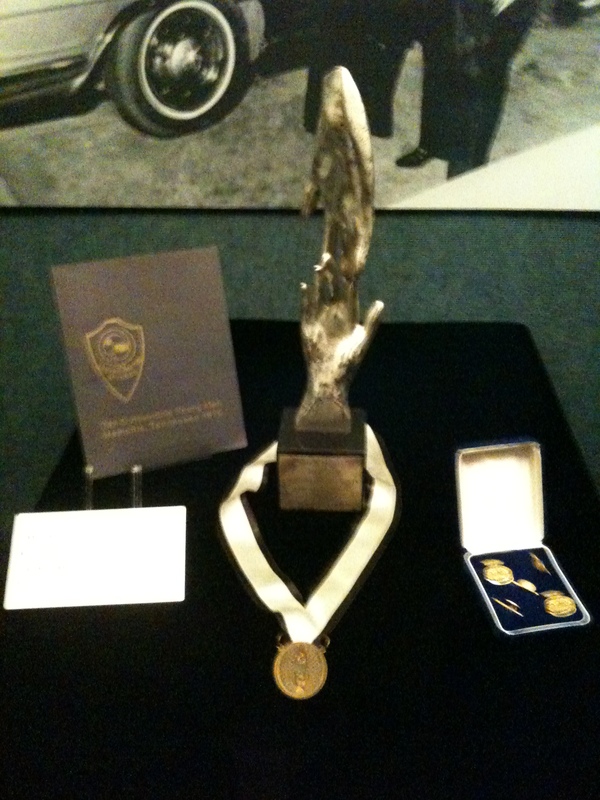 The press conference was held in Vernon’s office and you can see the same chair Elvis was sitting in. I like to spend a little time in the backyard watching the horses. 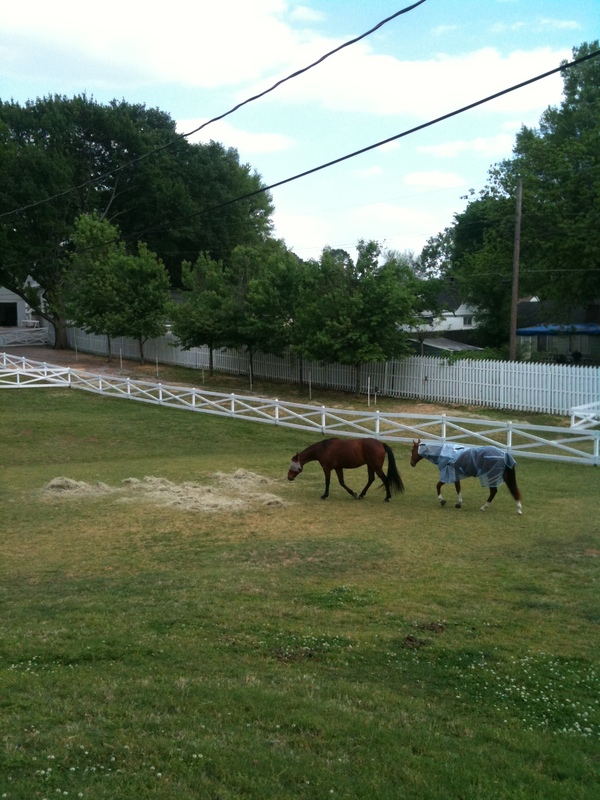 Some are descendants of Elvis’ horses and some are horses that Priscilla rescued. I like to spend a lot of time in the Meditation Garden. It is just as the name says – peaceful. 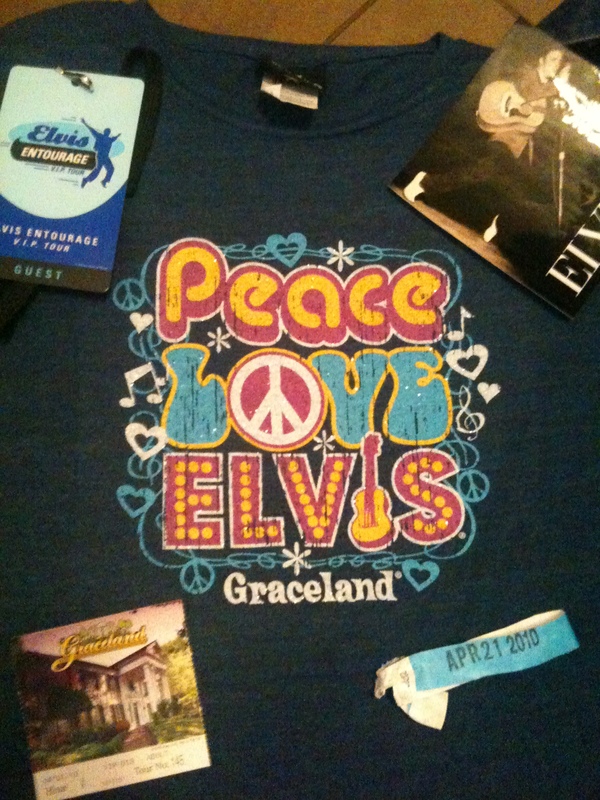 After paying my respects at Elvis’ grave and the graves of his family, I just sit for a while and relax. 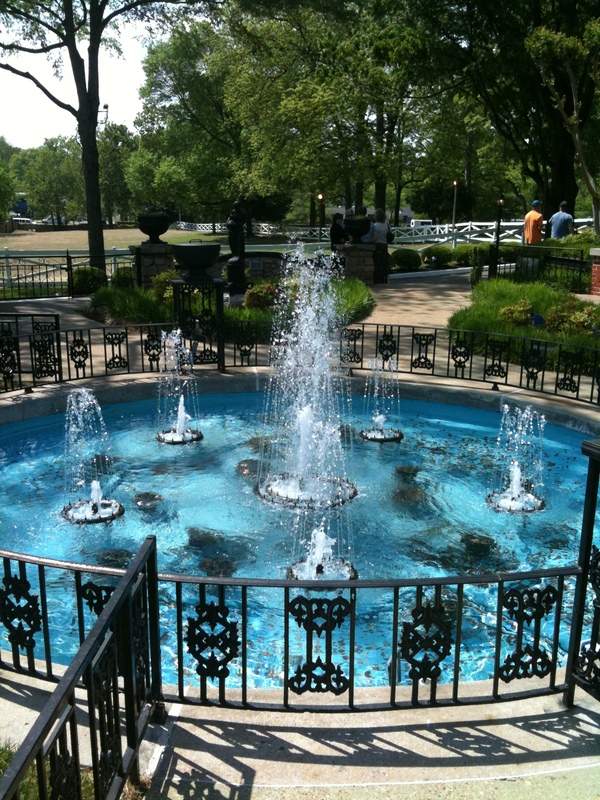 The calming of the fountain is wonderful. 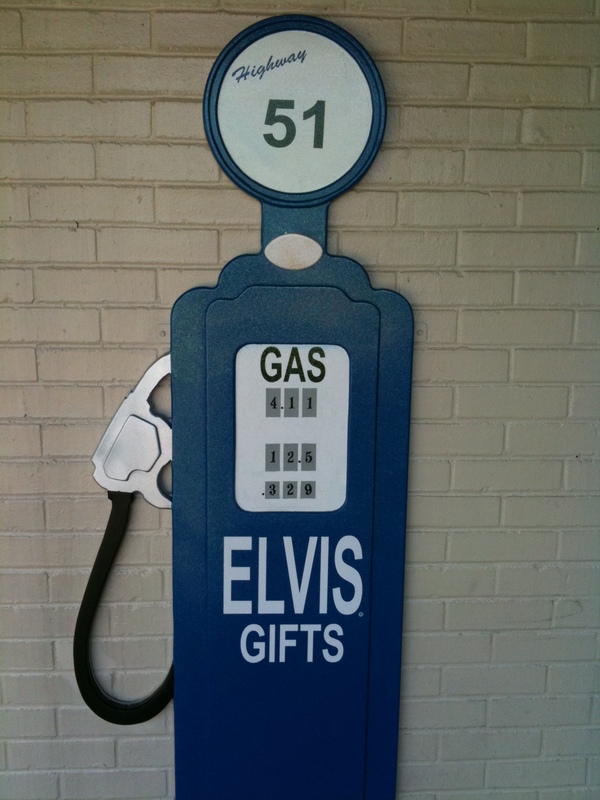 Across the street from the mansion is the car museum, the airplanes, elvis lives, sincerely elvis and many, many shops. This is the only place I like to shop. I almost escaped without buying one souvenir, but then I saw a tee shirt that I had to have. And after touring everything and going into all the shops, I went through the mansion one more time. And this time I was pretty much there alone, which was wonderful! Really? I’m a wealth of Elvis knowledge. Ask me anything. 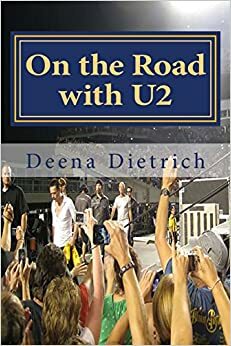 Thanks for reading my blog.